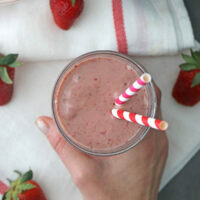 A Strawberry Tahini Smoothie that’s rich, creamy, sweet, and refreshing with no nuts, milk substitutes, or added sugar. 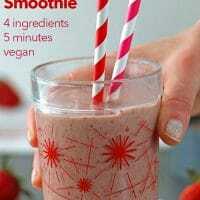 Darrol Henry and I threw together this smoothie last week. We liked it so much that I went back to perfect the measurements, so we can drink it all the time! The other day, a friend at the park asked me a random smoothie question. My kid must have overheard us chatting, because the second we got home that day, he asked if we could make a smoothie together. It was so much fun to come up with an impromptu smoothie recipe with him! Because this was a super spontaneous smoothie-making sesh, I used what we had on hand. 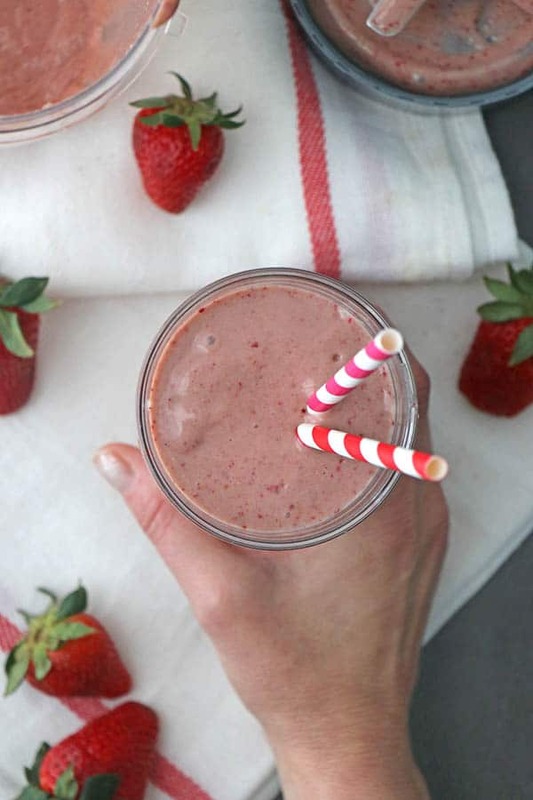 This tahini smoothie stars sweet strawberries and a bit of avocado to up the creaminess and fillingness factors. You might worry that the tahini would make your smoothie bitter, but don’t fret about that at all! The touch of frozen cherries adds the extra bit of sweetness you need to offset any bitterness from the tahini. Just its creamy texture comes through. 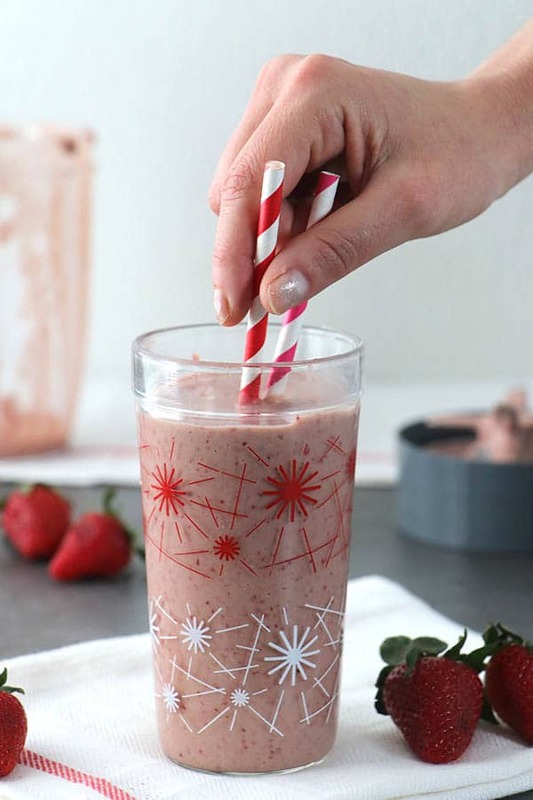 This Strawberry Tahini Smoothie is rich, creamy, sweet, and refreshing with no added sugar or nuts! This recipe only uses a cup of strawberries. If you’re buying your berries by the quart, like I do, I bet you’ll have some left over. Here are some delicious ways to use them up. 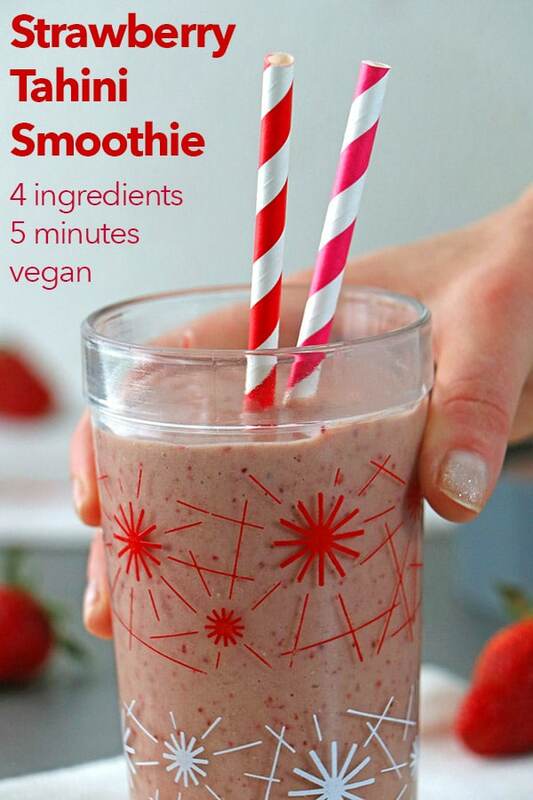 Of course, you can also just whip up a double, triple, or quadruple batch of this super simple smoothie recipe! 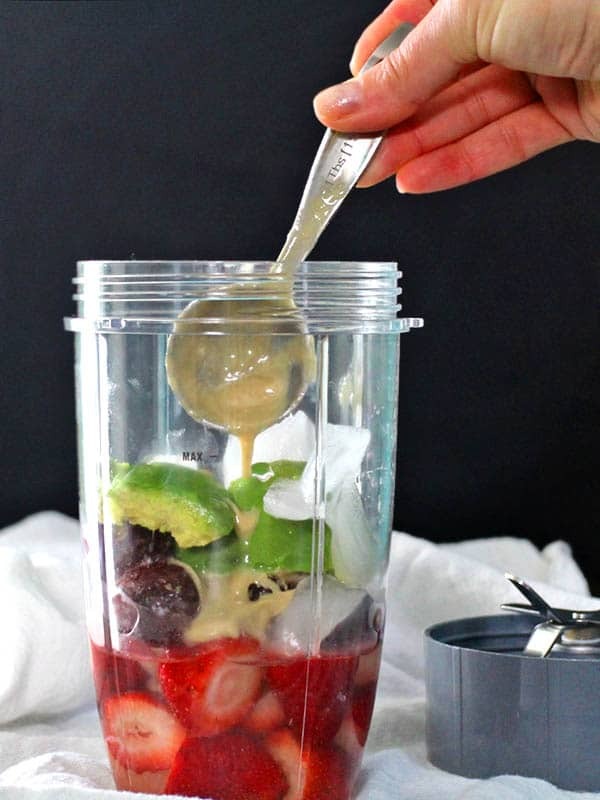 Combine all of the ingredients in your blender or food processor, and puree until smooth. Drink immediately. Tahini in a smoothie?? YES. So much yes. 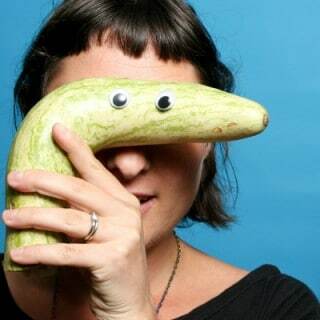 I need to try this! I’ve been loving tahini lately and putting it on everything!